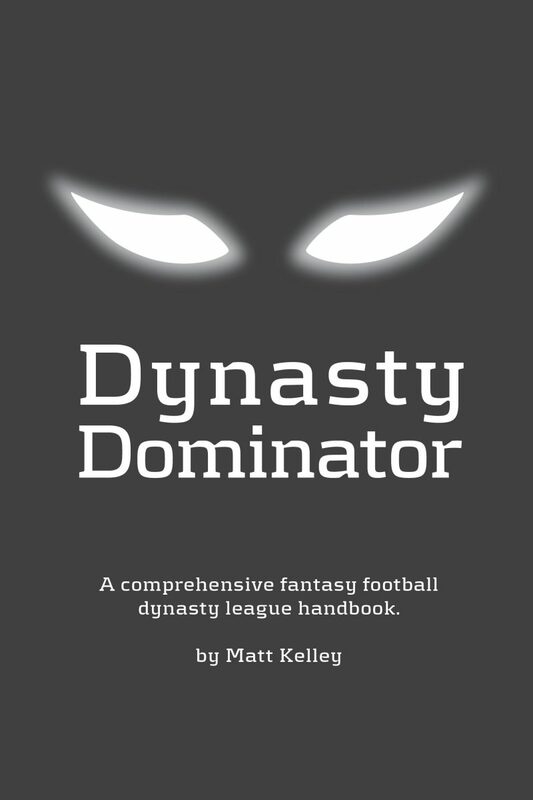 The Fantasy Football Dynasty Dominator (4th Edition) is a comprehensive fantasy football dynasty league handbook. 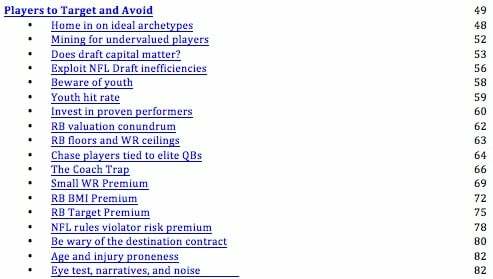 The guide provides overarching roster construction strategy and specific rules of thumb for talent acquisition: start-up drafts, rookie drafts, trade tactics, and free agency. 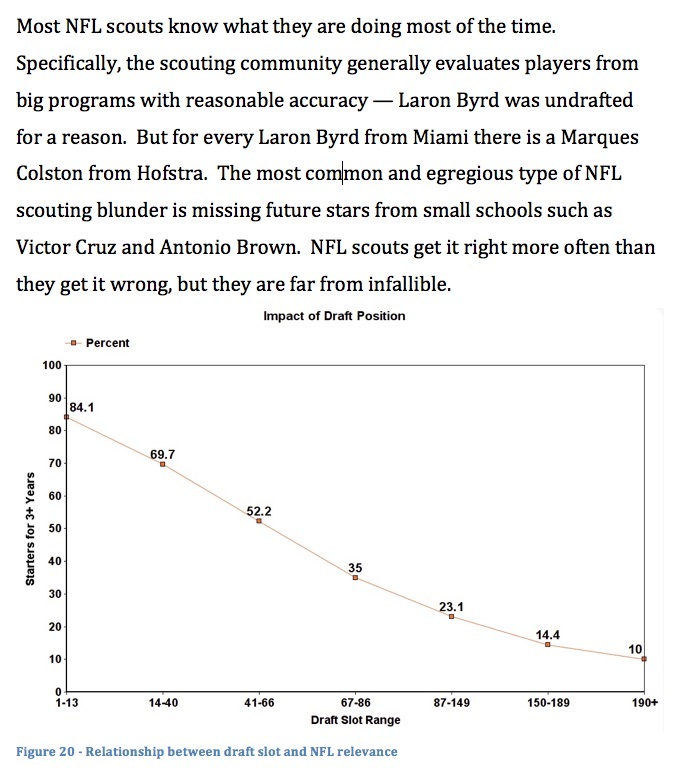 Features positional lifetime values, age apex visualizations, player profile skeleton keys, roster construction blueprint, lessons learned, dynasty league constitution template, and an advanced metrics terms glossary. The Dynasty Dominator also includes analytics-driven fantasy football strategies and tactics featuring NFL player profile analysis, advanced stats & metrics: Breakout Age, College Dominator, SPARQ-x Score, Speed Score, and Catch Radius. Excerpt from Precept No. 25: Does Draft Capital Matter? For years I’ve always followed main stream media companies. I would still listen to the podcasts but I would end up turning them off half way through because they would just repeat the same things over and over. I stumbled on Matt’s podcast, and it took 3 minutes for me to get hooked, and I couldn’t access RotoUnderworld content fast enough, especially the Dynasty Dominator. I love the fact that Matt doesn’t just say target these players or build your team in this way, he provides numbers and analytics to back up his reasoning. With the Dynasty Dominator Guide paired with PlayerProfiler, I feel like I have a personal assistant. I can’t believe I’ve made it this far playing fantasy football without this site, this dynasty guide, and this podcast! Mike W.
Appreciate all the insight! In the short time I have been listening to your podcasts and reading the Dynasty Dominator, I have come to appreciate you not being like the majority. You know what your talking about, because you clearly put the work in on it. Most a******** out here just repeat the same s*** they heard on NFL insiders and give us their “expert opinion.” Your information is actually good. Keep fighting the good fight! Edwin B. Big fan of the many podcasts, the dynasty guide, and contrarian opinions — particularly enjoy the riffs on tea-leaf-reading nonsense opinions and the better-at-TV-watching “film” analysts. Ryan C.